Once synonymous with long work hours, Japanese companies are beginning to embrace — or at least consider — the idea of a four-day workweek. Although the concept is nothing new and the number of companies adopting the system fluctuates, it is increasing over the long term. As of 2018, according to a labor ministry survey, 6.9 percent of privately held companies with 30 or more full-time employees had introduced the system in some form. A decade ago, the figure was 3.1 percent. This is part of a global trend. 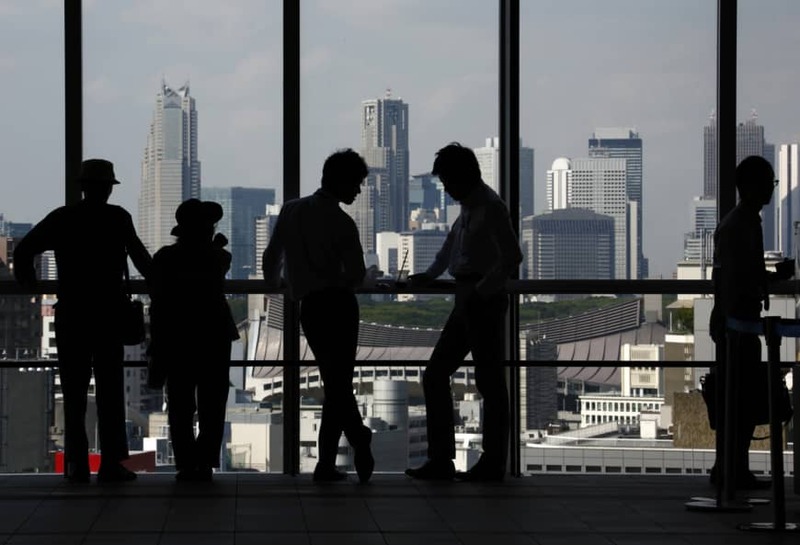 At this year’s World Economic Forum in Davos, Switzerland, the four-day workweek was a topic of discussion, with two experts advocating for the concept. “If you reduce work hours, people are able to focus their attention more effectively, they end up producing just as much, often with higher quality and creativity, and they are also more loyal to the organizations that are willing to give them the flexibility to care about their lives outside of work,” said one of the experts, Adam Grant, a professor at the University of Pennsylvania’s Wharton School. Last year, the New Zealand firm Perpetual Guardian drew international attention when it experimented with slashing its workweek to 32 hours from 40 — while maintaining the same pay. The estate management company confirmed it will make the change permanent. In Japan, the government is pushing companies to change the way they work. Prime Minister Shinzo Abe has made work-style reform a key priority in the hope of giving employees more flexibility and enabling them to balance work with care-giving or treating their own illnesses, as the country’s population ages and workforce continues to shrink. How does the shorter workweek affect wages and hours? Regulations in Japan, in principle, limit work to eight hours per day and 40 hours per week. Generally, there are two ways to establish a four-day workweek. One condenses the usual 40 hours into four working days and maintains the same basic pay as the five-day-a-week system. Days longer than eight hours without overtime are allowed under what is known as the modified work schedule system. Companies that have implemented this type include Fast Retailing Co., the operator of the Uniqlo casual clothing chain. Its locally based employees have been able to take three weekdays off while working on weekends since October 2015. Water and sewage engineering company Metawater began a trial program last summer targeting about 1,000 employees who wish to use the system. The second approach keeps the same number of hours per day and lowers salaries accordingly. Yahoo Japan launched a system with fewer hours per week in April 2017 for employees who look after children younger than elementary school age or elderly family members. Eligible workers can pick a weekday off in addition to weekends. The day they choose goes unpaid. Technology company NEC Corp. also offers a shorter workweek for all employees caring for elderly spouses or parents. For employees, it obviously allows for a more diverse and flexible way of working. At least one case suggests that a shorter week makes for happier workers. Perpetual Guardian, the New Zealand company, found that its experiment led to lower stress, higher levels of job satisfaction and improved work-life balance among its 240 employees. For employers, providing different work styles is a way to attract and retain talented employees, an important feature given Japan’s diminishing domestic workforce. The population is projected to shrink roughly 30 percent to 88 million people by 2065, down from 127 million in 2015, according to the government-affiliated National Institute of Population and Social Security Research. The report, released in 2017, notes that people 65 or older are expected to constitute more than a third of the population in 2065 — versus 26.6 percent in 2015. Three days a week away from the workplace may sound good on paper, but there are potential drawbacks. One is whether workers choosing the four-day week would receive discriminatory treatment in terms of pay raises and promotions, compared with those who work five days. “I think it is imperative for us to monitor that employees using the system don’t receive significantly poorer treatment and, mainly through labor unions, call for balanced treatment,” says Jun Imai, a professor of labor sociology at Sophia University. Another worry is whether a shorter workweek may not necessarily lead to more free time. Consider the example of an individual working four days a week for a total of 40 hours at an office in the Tokyo area, an hour away from home. In this scenario, each workday would be 10 hours. Add to that an hour for lunch, as well as the two hours of commuting. 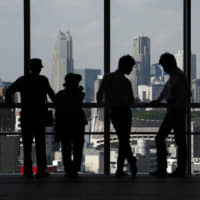 The result is little free time on workdays, says Hiroki Sato, a professor of human resources management at Chuo University’s Graduate School of Strategic Management. Also, “they would have to devote at least one of the three days off to chores like cleaning, doing the laundry and shopping to catch up — so that means they don’t have much free time on weekends, either,” he says. Considering that, Sato says, a good work-life balance under this system can only be achieved if an employee’s workplace is within walking distance or total work hours are limited to 32 per week. How many workers opt for the system where it is available? So far, it would be a stretch to say the idea has gained traction in Japan. A spokesman at NEC says the company doesn’t expect many employees to sign up for the reduced workweek plan. The system is “intended as a safety net” to address the problem of employees having to give up their jobs to care for elderly relatives, he says. When it was introduced last October, just one employee expressed serious interest. As of Jan. 28, there were only five employees working four days a week. Will the concept ever become mainstream in Japan? The four-day workweek is more compatible with shift work and labor-intensive sectors where worker motivation directly affects customer satisfaction, Nagai says. He adds that medical and welfare services, restaurants and hotels are among such sectors. “But the personnel shortage particularly in the medical and welfare industry is a pressing issue so the four-day week should be more widely available,” he says. His Shizuoka Prefecture-based company, Shukyu Mikka (three days off a week), intends to expand the four-day week within the industry as a first step.